DataGrip is a cross-platform IDE for databases & SQL. "Quick Way to Interact with Databases"
Data grip is able to easily interact with a wide range of different databases and anything you can provide a JDBC driver for. I primarily use it for interacting with Google Cloud Spanner to avoid using Google's often slow interface. For these purposes the tool is great. Because I have mostly used it for simple SQL statements (and with Cloud Spanner), I likely have missed some of it's most powerful features. That said, it does not feel as powerful as programs like Microsoft SQL Server Management Studio. 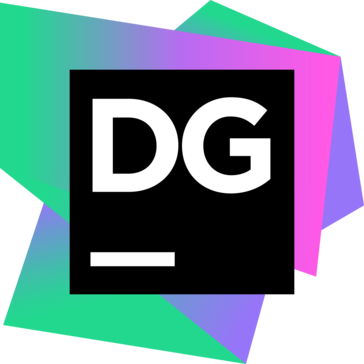 DataGrip is included inside many of the other JetBrains products (such as IntelliJ and PHPStorm). While I like having it as a separate program, if you are paying per product, you could skip buying it and use the included features. Interacting with Cloud Spanner through their online interface was slow, using Datagrip has enabled me to run queries and get the results I need faster. "My GOTO IDE for interacting with MySQL and Redshift"
This is the database IDE I've been waiting for. Excellent navigation between different data sources, each with different underlying storage engines. The tab completion is excellent. Built in handy functionality like exporting queries to CSV, or easily importing CSVs to table. Output log with transaction time is helpful as well. Also love that my keyboard shortcuts form other JetBrains IDEs work here. Sometimes it can take a while to start up on my computer. Also every now and then I encounter weird errors copy/pasting the data. For example copying a query from the slow query log may result in the hex (which I then convert) instead of the text, or values for really large numbers are showed with some precision dropped. Also consoles get left open and sometimes I may have a bunch of consoles I've forgotten about. They have a 30 day trial--use all of it. There can be a bit of a learning curve but once you get there its a fantastic tool. Interacting with multiple databases, including RedShift--which DataGrip has made really easy. What Other Integrated Development Environment (IDE) solution do you use? "easy to manage data with it"
If you are working at a data-heavy job, go for it! The data grip interface is very user friendly compared to Microsoft Sql Server Management Studio. The database object autofill is extremely helpful when writing queries, and I haven't found another database IDE with object autofill that is as fast. The ability to automatically generate database diagrams is extremely useful if you are a spacial-visual learner. I also really like the fact that I can search table names easily by clicking a table name from the list and just starting to type. I've noticed that sometimes the object autofill doesn't automatically filter down to a specific database when you open a console for a specific database on an environment. Similarly, if you pick a database for a console in the upper right with the dropdown list, I find that I still need to type 'USE [database_name]' and run before the object autofill will work. This is a small gripe since this is something you would normally have to do anyway with SSMS and others. Also, finding database triggers is a little tricky since they are not categorized into folders - you must know the table they reside in and find them in the table list. I highly recommend you try DataGrip. For users less technical than database admins or developers, DataGrip offers some user-friendly features that make quickly accessing data and writing queries very easy. My company's database admins also use DataGrip on their mobile machines when working remotely because it is battery efficient and easy to use. Most of my client services and professional services team has switched to data grip because it is much easier to use than competitors like RazorSQL with the object autofill. We have to frequently query our databases to pull up information and sometimes write to the database. Most of us have SQL experience but not all are experts on the database structure. Furthermore, with different environments having different builds, DataGrip makes it easy to autofill things like tables and columns that might be different from one database build to the next (rather than remembering differences in our heads). ""Extraordinary item for database the board""
I truly like the auto-complete choices for tables and columns that are being referenced. This enables us to have unpracticed clients feel progressively great making basic and complex sql calls. I likewise like that I can have different endpoints designed and effectively flip between the two. Likewise, making refreshes in the outcomes see spares my group from making extra calls to refresh records. The majority of the tabs utilized in the past session come up when you restart DataGrip, so this makes little day by day undertakings extremely speedy to perform in light of the fact that there is practically zero set up if an activity is played out each time you utilize the product. I would exceptionally suggest the item for individuals who are searching for a product to play around with SQL. Incredibly easy to use and compact!I would exceedingly suggest DataGrip due to the fact that it is so easy to begin working and would be instinctive for non-developers and software engineers alike. .My organization utilizes DataGrip to deal with a database of clients, items, valuing and arranges right now being handled. The simple to utilize inquiry window and table view imply that we can make changes very rapidly, which spares the business time and money.It is utilized for information control and information approval. Information sits in the database and Datagrip is utilized to get to the information and receive bits of knowledge in return. "Buena herramienta para las bases de datos"
Extraño tener características avanzadas como la comparación y actualización de esquemas y funciones complejas de generación de datos de prueba. Creo que es una gran herramienta de desarrollo de SQL sin embargo, si planea usarlo para el desarrollo pesado de SQL, puede que esto no sea lo que está buscando. El precio es un poco caro, pero mejora si planea tener una licencia perpetua. Pero me gustaría ver la hoja de ruta para el producto antes de planear invertir en él. The feature set in DataGrip is fantastic! It brings the 5 different databases I work with over 30+ instances into one convenient place. All with the same set of features from the client software. Being able to have multiple consoles per DB instance all with independent. Additionally, the software updates are quite frequent and bring more enhancements and functionality. Which gives users a real reason to renew your subscription each year. Unlike other packages who offer subscriptions with little value to no value add beyond maintaining the software. The learning curve of the feature set can be a little steep at first. Finding where to click in the UI or what menu a particular feature is listed under. However, once you play around and get familiar with it it gets to be much easier to work with. When we are working across multiple types of database and DB instances there are many different tools to use. Each flavor having its own toolsets and quirks. DataGrip has the majority of these tools/features in one package which helps our team get work done faster and with fewer errors. Additionally, when we have new employees join the team there is only one Database tool to train them on which minimizes ramp-up time. "Great IDE for databases however, with some misses"
Table visualization is not great. It's fine if you have a few tables not really meant to see the entire modeling. No query optimization on the fly. There are explain plans available but nothing compared to what Toad will give you. I think it's a great SQL development tool to get started especially if you are into JetBrains Suite, however, if you plan on using it for SQL heavy development, this may not be what you are looking for. Pricing is somewhat expensive but gets better if you plan on having a perpetual license. But I would want to see the roadmap for the product before I plan to invest in it. "Fantastic software geared toward querying and visualizing SQL data"
Datagrip provided so many phenomenal features, a lot of which I did not even get to use. Datagrip provided a long list of official connectors to various types of SQL databases, while the community helped fill in the gaps on other databases that were not officially supported. Datagrip gave me an IDE-style environment where I could query data across different databases, export data as necessary, save and access views/reports easily with custom formatting. Datagrip also helped me improve my query syntax with auto-complete functions and other features to promote good habits with querying. There was honestly not too much to dislike about Datagrip. The only frustration I have ever had with it was connections sometimes timing out after some idle time, and the software either requiring a refresh of the connection, or a quick restart. Datagrip may be a little daunting to setup and configure at first, but it's software that becomes easier to use with repetition. Try it out for a bit, see what features you like, and what features are most exciting for you to use. If connectors for your SQL database aren't available officially, check out what's available through the community. Datagrip helps me visualize data quickly and efficiently, which saved me time from needing it shell into a SQL instance to retrieve quick information I needed. Datagrip also allowed me to customize data exports, eliminating the need of using custom arguments and modifiers in my query to receive the output in a deliverable fashion. The all-in-one feature of the IDE. Everything can be done on DataGrip without frequently flip and flop between pages. The customer service of the product is excellent, which you can easy to chat with someone online during office hours via chatbox on the official website. They frequently host YouTube workshops in teaching how can developers increase their productivity by using their products. I highly recommend subscribing their YouTube channel for better user-experience of the products. The price of the software is pricey, as there are a number of free and open-source options available. The license has to review every single year instead of paying a lump sum and for all , which is something I dislike . If your team has experience with WebStorm or PyCharm, you may find it extremely easy to use. On the other hand, if you prefer customized everything on our own, then it is better to consider other open source IDEs on the market ( as there are a lot of options with great development communities). The business problem we encounter is the connection of each developer's individual laptop and the hosted service of the company. We remotely using DataGrip and which the reaction of the application is not as good as expected. The solution is still unknown as we consider both efficiency as well as privacy. But the use of DataGrip makes the situation a little bit better than not using it. I like that it is simple to navigate between different tables and query windows, and can use multiple query windows at once, making repeated tasks simple. All of the tabs used in the previous session come up when you restart DataGrip, so this makes small daily tasks very quick to perform because there is little to no set up if an operation is performed every time you use the software. I dislike the lack of flexibility in the workspace, because it makes writing complex queries on unfamiliar tables more difficult. I would highly recommend DataGrip because of how simple it is to start working and would be very intuitive for non-programmers and programmers alike. My company uses DataGrip to manage a database of customers, products, pricing and orders currently being processed. The easy to use query window and table view mean that we are able to make changes very quickly, which saves the business time and money. "Datagrip - A great tool for SQL"
Better search features could be implemented. Not that many tools have it. But if integrated into DataGrip, it would be useful. I would highly recommend the product for people who are looking for a software to play around with SQL. Extremely user friendly and compact! It is used for data manipulation and data validation. Data sits in the database and Datagrip is used to access the data and get insights out of it. It is an extremely useful tool for quick data work. "Great product for database management"
I really like the auto-complete options for tables and rows that are being referenced. This allows us to have inexperienced users feel more comfortable making simple and complex sql calls. I also like that I can have multiple endpoints configured and easily toggle between the two. Also, making updates in the results view saves my team from making additional calls to update records. A few of our team members are on the trial version. I wish this allowed them to be logged in longer but I understand. We are not relying on database management experts to make our simple calls and updates, I can empower our team to do these instead. Sometimes the specific plugins may not work as expected. For example, I was using a postgres plugin that was simply broke. Re-visiting DataGrip many months and a plugin update later, all magically worked. Day-to-day data work in a beautiful IDE. Being able to apply my JetBrains tooling knowledge to my data work has been a huge benefit. As a big keyboard person, i want any IDE to easily use only using my keyboard. Its little difficult for me to find where the SQL editor tab was when i used it for the first time. Really easy to use, But a bit expensive for small companies. I am using it to access my production database and alter data. With datagrip it is really easy to install a new driver. (it will automatically download it for us). The autofill feature is nice and works so much better than SQL server management studio. The setup initially is a little tricky and could require some help from your server team. If you have love for a way better intellisense, then this product will get the job done. If you are fine without that feature, whatever workbench you are using will be just fine. Querying with this makes life a little easier when you have multiple servers that come from different database types. You can query from redshift, mysql, snowflake, etc. Clean, modern looking text editor interface that is easy on the eyes (I use the default dark theme). Integrates well with wide variety of databases. Overall, improves my ability to work with databases and productivity. I dislike the number of small buttons and options. Sometimes hard to tell what they're used for. May include tool tips. Analyze data to provide insight for management. Datagrip is a IDE to work with databases and write SQL. "I love using datagrip to analyze analytics data"
The ease of running all queries, analyzing data. "JetBrains does it again - best all-around SQL workbench"
Extremely good design, feel, and performance. This application does well in giving the user all the options and details for all database features. Sometimes goes not responding on simple processes that shouldn't error out the application. Best overall SQL workbench for different databases. DataGrip is perfect for connecting to any form of SQL database, which solves the problem of proprietary workbenches. - supports wide variety of languages. - supports wide variety of vcs tools. - code completion is context sensitive. - annual subscription with tiered pricing. There are many cheaper alternatives. Is using datagrip for SQL code. Benefits are it resolves a lot of references automatically. Most of all, writting query that is auto saved, even if IDE closes, I can query and show history of a query I am working on. connect to multiple different database systems, code refactoring. Code auto align when you type closing bracket, auto complete. Very efficient auto-completion, very convenient to write and test queries live, previewing tables with some filtering is also cool. It has some limited support BigQuery which is good to have. Unfortunately, some NoSQL databases like Mongo are not supported yet. Faster to write SQL queries. It becomes easier to rewrite and make legacy queries faster. "Best DBMS client available "
I used it to connect to mysql and redshift. My favorite benefits are code completion on Redshift and the ability to easily import csv files into a table. "Powerfull tool for Database management"
Its powerfull, has nice intefrace. Its fast, can be used with wide range of database solutions. really helps with productivity and has a great customerr support. aafter Trial period, its paid product, but it's worth every penny. Can't say much negative about it. really helps with productivity. managing differrent databases in one place. "Great for running SQL tests!" I love the ease of this program and the suggestions when you have an error. I would like more information on errors. It's a bit of a learning curve if you've never used anything like it before, but once you learn it, it's a huge resource. I use DataGrip to test my queries before writing reports, it's a good way to see small sections of code. "Good tool for SQL data access"
Ability to retrieve data from various databases that are used (Postgres Production, Postgres ETL, Redshift). This allows me and my team to gain valuable insights into how our Product is functioning and where we can make improvements. Connections allow you to filter what schemata you can explore. This filters out admin schemata if you do not want to explore them. This does simple data migration. Ssh tunnel settings are super easy to use. Familiar navigation for WebStorm or IntelliJ users. I miss having advanced features like schema comparison and upgrade and complex test data generation features. I am comparing to RedGate and SQL Management Studio. We have moved from self hosted MongoDb and SQL Server to AWS hosted PostgreSQL. We needed a decent tool for SSH tunneling into our database to look at data. "Great for connecting and working on multiple vendors databases." Its easy to set up and we have the same interface for Windows as well as Linux. Its easy to add and setup multiple connections. They also give you most of the scripts built in. sometimes we experienced crash while running it on Ubuntu. We were able to work around it by using a snap build. If you plan to be connecting to more than 1 databases coming from different vendors, then go for it. "not a very intuitive tool"
This is good for keeping track of things you mind tend to forget. "Incredibly efficient for building and reviewing databases"
Integration with database platforms. I use this to interact with PostgreSQL and MySQL databases and it is incredibly easy for a beginner to setup tables and relationships. No quick logins with AWS. It would be great to login with an AWS accounts and pull all RDS instances under the account. It’s a great tool to use with AWS and for rapid prototyping. The ability to modify and backup your database quickly in a GUI has made this more valuable than any other similar tools like MYSQL Workbench. "A great tool to use for any database. " I enjoy the easy of use and support available for Data grip. When using Datagrip with many projects or a large database it can take a few seconds to boot up. This isnt awful but it is slower to start then other database utilities i have used in the past. We use datagrip to manage our local and cloud databases. It allows us to quickly make small changes and ensure everything is running smoothly. Datagrip easily allows any database user to get access quickly without a lot of hassle or technical setup. "Perfect for writing complex queries"
"Used to connect to my PostgreSQL Server"
This is better than pgAdmin. It has a better user interface and you can choose your own color scheme. I don't have many dislikes on this product, maybe it has only a few choices to select a theme. A graphical user interface to connect to the PostgreSQL database. It has issue with auto complete and there is no. way to simplify database connection management in case you have more than connections. "All for SQL and one for SQL"
Data grip is the best SQL IDE i have ever used. It allows me to connect to multiple databases and do complex queries between databases. The only thing i dislike is the lack of styling options. Mostly making cross database queries. "DataGrip for local and cloud"
connecting to local databases as well as cloud based such as Snowflake, RDS etc. I can't think of anything for this so far. It is a good sql query and admin tool. "The best IDE for PostgreSQL"
What I like best about this product is the easiness for managing database objects. Database drivers are not automatically installed. You still need to install updated drivers to connect to database servers. Thick client IDE for managing PostgreSQL servers. No current bigquery support, that'd be great once ready. * We monitor all DataGrip reviews to prevent fraudulent reviews and keep review quality high. We do not post reviews by company employees or direct competitors. Validated reviews require the user to submit a screenshot of the product containing their user ID, in order to verify a user is an actual user of the product. Hi there! Are you looking to implement a solution like DataGrip?